The Telecommunications Regulatory Commission has recently informed the de facto Chief Justice Mohan Pieris and Supreme Court Justice Shiranee Tilakawardane that they are unable to trace who gives information to websites operated from outside the country. This response has been sent consequent to the request from the Supreme Court incumbents to the TRC to find out the sources who have been giving information about the judiciary to those websites, mainly the Colombo Telegraph and Lankaenews. It is also learnt that in the meantime, de facto Chief justice, Pieris has sought similar information from the Ajith Nivad Cabraal through the Economic Intelligence Unit of the Central Bank. The Unit conducts regular surveillance on the accounts of citizens in cooperation with the military and police intelligence operations. 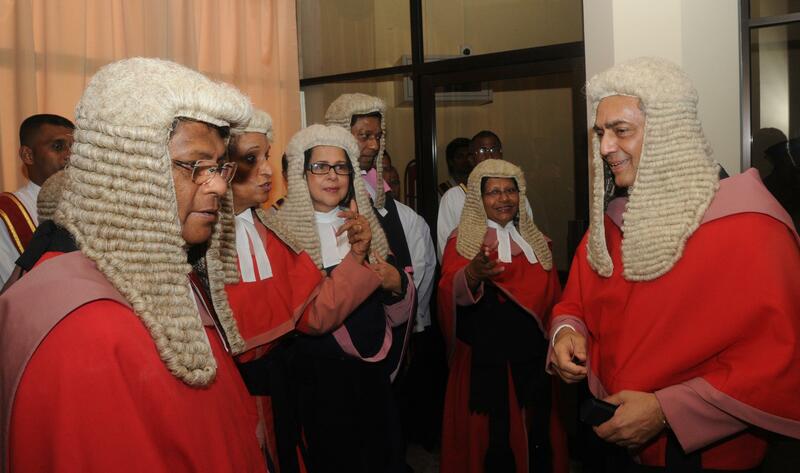 Both Cabraal and Pieris are part of the cabal headed by Secretary to the Ministry of Defence Gotabya Rajapaksa. Called the Tuesday tea party these three individuals are known to meet at the Central Bank every week. The country’s economic, defence and judicial decisions are known to be made at this meeting on the instructions of Gotabaya Rajapaksa. Meanwhile junior judges have aired their displeasure over the de facto CJ’s affiliations with the Central Bank Governor which has recently resulted in one of Cabraal’s loyalists, Assistant Governor Batagoda being called to lecture for judges at the Judges Institute. De facto CJ, Pieris was earlier appointed as Chairman of Seylan Bank by Secretary to the Ministry of Defence Gotabaya. A few months ago, the de facto CJ also summoned the judges of the Commercial High Courts and told them that the Government was unhappy with the judgments against the banks and the banks cannot function effectively with their orders. Soon thereafter, in an unprecedented move, all commercial court judges were transferred out of the commercial courts during the annual transfers. Is This A One-Term Government?